So, I found an old violin body when I was cleaning out a foreclosed trailer, and I remembered a PG article about a guy turning one into a guitar. I'm thinking of making it a banjola with a lipstick pickup. Thoughts? Did the one you played come off as physically delicate? Yeah, I had a lute guitar that eventually developed problems [ok, exploded] and it was like 90 years old and not very good to begin with, but before it died I definitely felt like it was kind of a big mistake. Sound was not charmingly boxy, just a bit small and dull, and it was awkward to hold and not a great player. I really wanted a lute, I should have gotten a lute. If I were going back to that now, I'd hit the baroque guitar--double courses and the smaller body, with the soft frets add up to a unique sound and feel without wrestling an instrument that wants to slide out of your lap and under a log in the pond. Or just go crazy and get a theorbo. 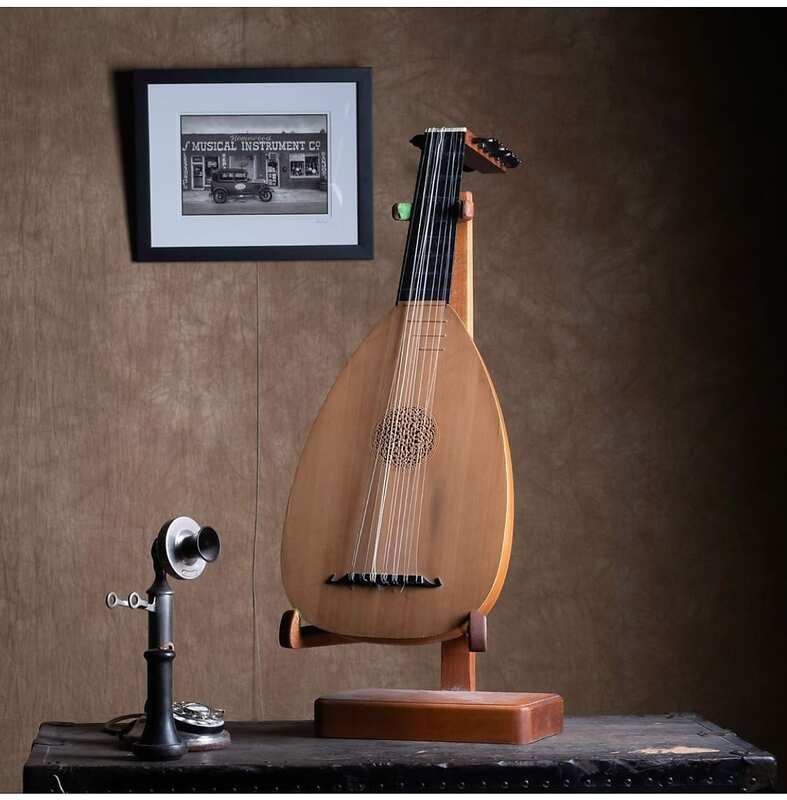 Dandolin wrote: Yeah, I had a lute guitar that eventually developed problems [ok, exploded] and it was like 90 years old and not very good to begin with, but before it died I definitely felt like it was kind of a big mistake. Sound was not charmingly boxy, just a bit small and dull, and it was awkward to hold and not a great player. I really wanted a lute, I should have gotten a lute. If I were going back to that now, I'd hit the baroque guitar--double courses and the smaller body, with the soft frets add up to a unique sound and feel without wrestling an instrument that wants to slide out of your lap and under a log in the pond.